Lately my daughter is interested in cooking and she teams up her brothers and makes cookies, smoothies etc. She was asking for their favorite orange creamsicles and I didn't have cream with me to make it. 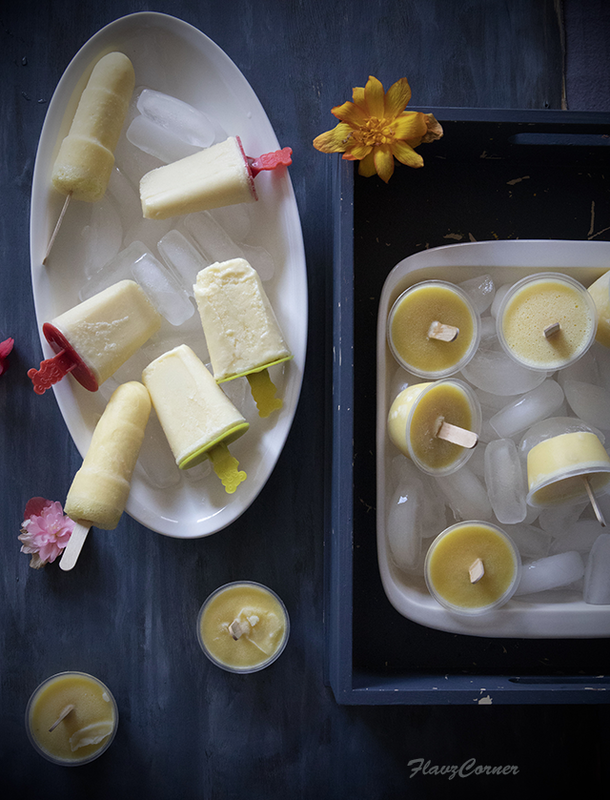 Instead I just mixed up few ingredients I had handy and it turned out to be a batch of delicious and creamy popsicles. This recipe is so easy that even you can have your kids make it. Last few weeks were really hot and we hit the temperature in the 90's most of the day. I always buy pineapple during summer as they taste better and sweeter during summer. My only problem with pineapple is cutting it. It sits on my kitchen counter for many days till it is overripen. I feel too lazy to cut big fruits like pineapple, cantaloupe etc. But this time, the weather was so hot and I had to make something easy to cool us down. It’s a perfect treat for the sunny days. My kids were inpatient and wanted to try the Popsicle the same day. By evening my daughter sneaked into the freezer and ate one. I would recommend freezing the popsicles overnight to have them set properly. 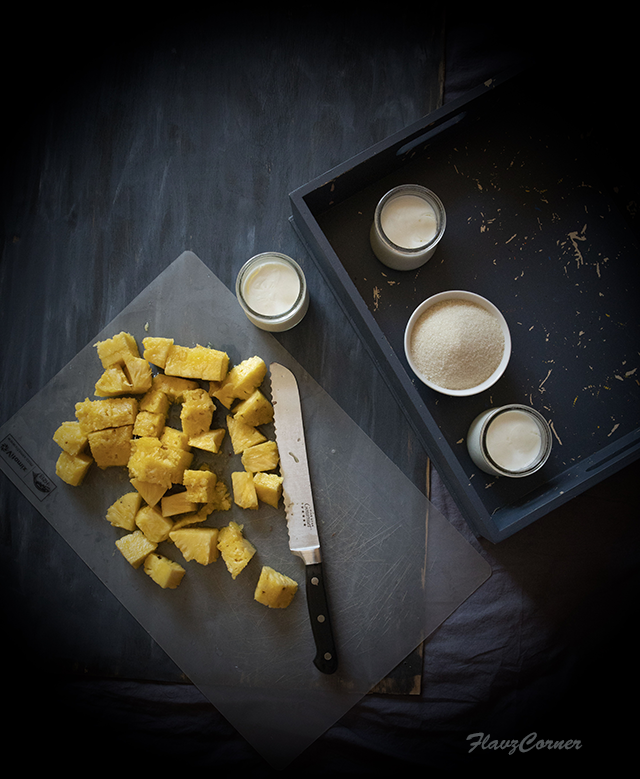 Blend Pineapple and yogurt. Add sugar if necessary. Pour into popsicle mold and insert the sticks. Freeze it for minimum of 8 hrs or overnight. 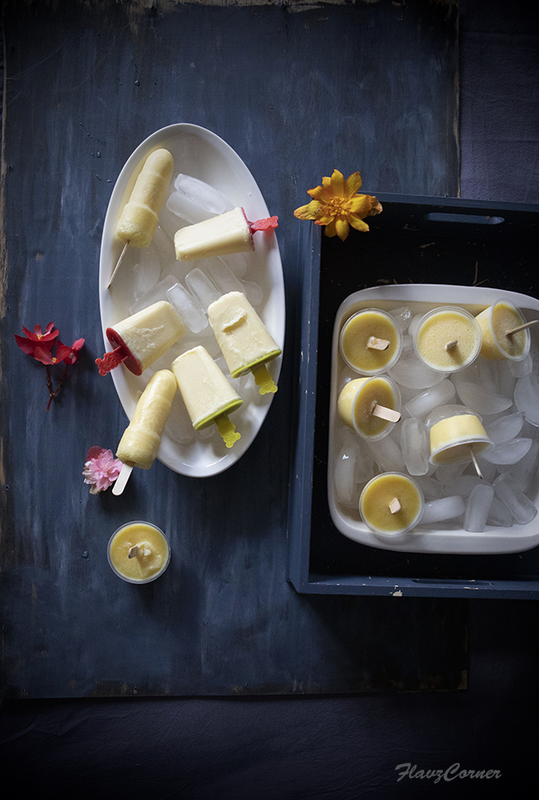 Enjoy the delicious and creamy 3 ingredients pineapple popsicles. Ripe pineapple tastes so GOOD! These ice pops are such a perfect summer treat. They look so delicious. Such a quick and wonderful recipe for summers. I have never made popsicles. 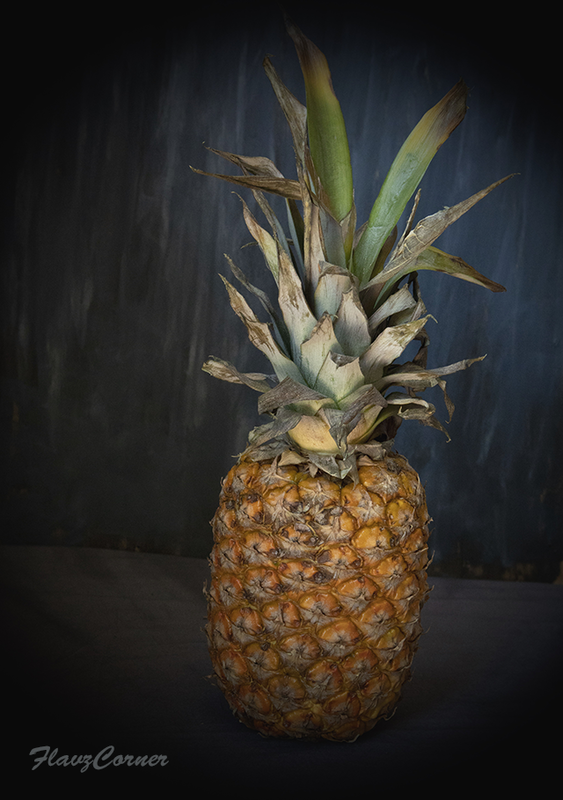 Pineapple is that fruit which I enjoy having raw. I have never tried to think of it as a popsicle. The idea sounds intriguing. Thank you for sharing.